You've lived and learned. You have accumulated a wealth of knowledge. Isn't it time to give back? Isn't it time to make a difference in the life of someone else? I have a brand new program in development to help you get that first book out of your head and on to the book shelf - with ease. It can be done! I know you can. If you are in the Memphis area and serious about becoming an author - whether for business or personal let's talk. You'll see how easy it is to get started. 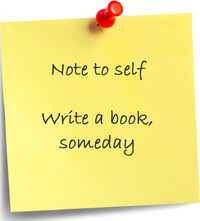 Dreaming of writing your own book and wondering how to start and what to do? Longing to share your message? Scratching your head with lots of questions, but no answers? It's time to stop dreaming, longing, and scratching your head! Do you want to spend another year regretting that you still don't have your book finished? Head to Hand Book Coaching is designed with you in mind to empower you to become the author you've been dreaming about. Let me show you how to create a quality non-fiction book quickly and easily. Step by step, understand how to become the author of a book of which you can be proud. You can do it. If you have a message to share, you can write a book. Let me help you. Why not make someday, this day. What is Head to Hand Book Coaching? Head to Hand Book Coaching is personalized, private coaching with guided instruction to help writers turn their dreams of becoming authors into a reality. Head to Hand is not a done-for-you program. Enrollees are expected to put in the work essential to creating their own book. Head to Hand is not a proof reading service. Those who enroll are solely responsible for the grammatical content of their books. However, that service can be made available. What kind of books can I write through Head to Hand? You will learn to how to self-publish a variety of non-fiction or poetry books of any length. Head to Hand does not assist in the preparation for any material for Kindle at this time. Additionally, Head to Hand is not equipped to engage in assisting with books that are sexually inappropriate, violent, intentionally offensive to any race, or contain and/or promote anything illegal. Who can receive help from Head to Hand? Regardless of whether you have a completed manuscript and need help getting published or you only have an idea in your head, Head to Hand can help you capture your vision of becoming an author. Please note: Head to Hand Book Coaching is Memphis-based at this time. • What is my investment? o Your investment is based on your project needs. • When is the fee due? o When you book your first session. • What is the preferred method of payment? o All major credit/debit cards and PayPal are accepted online. • What if I don't know what I want to write yet, but I know there's a book in me somewhere? I need direction. o Sign up for the next ​S.T.E.P.S. to Authorship introductory workshop.​​ Jump-start your journey to authorship with S.T.E.P.S. Who should enroll in Head to Hand Book Coaching? Head to Hand is best suited for first-time authors who want to self-publish a physical non-fiction book. However, those who have published before can benefit as well, regardless of whether the book was self-published or through a traditional publisher. Whether you have only a book idea or a finished manuscript, Head to Hand can guide you all the way to having your completed book in your hand. Please note: Head to Hand Book Coaching is Memphis-based, currently. How long will it take to become an author? The length of time is up to you. There are numerous factors such as whether or not you already have a completed manuscript or only an idea, whether or not your writing time is limited by obligations such as work, school, family, etc., and your level of basic computer skills, just to name a few issues that will influence the time it will take. On average, most serious writers can become authors within three to four months. Why is it three sessions? Head to Hand focuses on the three primary areas: structure, content, and delivery. The first two sessions, often within a couple of weeks of each other, lay the foundation by focusing on your structure and content. After these two sessions, you will have learned how to create and complete your interior files which will become your book. The third session will focus on delivery (publishing). At this session, usually weeks later, we will sit together and review (and edit as necessary) your interior file to ensure that it is according to the industry standards, and then begin the publishing process. Supplemental sessions are available. Why should I enroll in Head to Hand Book Coaching? • You should enroll because you want to take your writing to the next level and become an author. • You should enroll because you have something to say that others need to hear. • You should enroll to leave a lasting legacy. • People enroll in Head to Hand for various reasons. Some enroll because they have an idea for a book, but have no notion as to how to turn their thoughts into a physical book that looks polished and professional. • Others enroll because they already have a manuscript, but are uncertain as to the next steps. • Still others enroll because they want the personalized guidance. • Writers enroll because they want to maintain control over their manuscript content and publish what they want to say instead of what someone else wants them to say. • You should enroll because you’re tired of saying, “Someday, I’m going to write a book.” You have the power to make someday this day. What is the goal of Head to Hand Book Coaching? The ultimate goal of Head to Hand is to fulfill the dreams of writers by empowering them with the information and skills necessary to become credible authors. 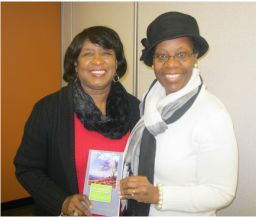 I approached Dell Self after hearing her tell the audience that she turns writers into authors. She held to her claim and now I have a published book. I found the whole experience, while learning the techniques of making good products, as life changing. I have and will recommend Dell’s work to others who are willing to work, but do not know how to bring their vision to light. As a minister and speaker, my dream is to share my message. "Dell was just what I needed." "I am forever grateful for Dell's ministry!" Writing was never my problem. I wrote poems, plays, songs, speeches, stories, you name it. But, it was not until I sat down with Dell Self that I was provided the tools, instruction, and guidance I needed to go from being a writer to an author. Private coaching is just that - coaching. It is not a "done-for-you" product. Dell carefully guides each client, step by step, through the process of design layout and formatting of their book. This is in conjunction with coaching on making certain each book is written in a clear an effective manner. "It's how writers become authors!"